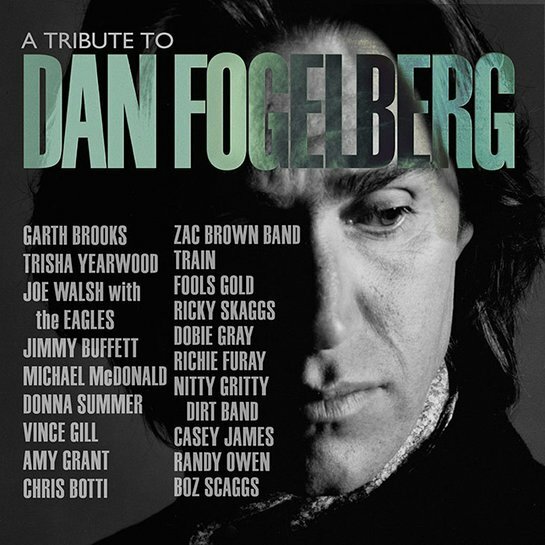 The highly-anticipated album, A Tribute to Dan Fogelberg, is now available on CD, digital and streaming platforms. Released worldwide through BMG, sales will benefit the Prostate Cancer Foundation (PCF), a cause near and dear to Dan’s wife, Jean Fogelberg. In 2008, a year after Dan Fogelberg passed away from prostate cancer, Jean released “Sometimes A Song”, a Valentine’s Day gift to her from Dan, and donated proceeds to PCF. Each year since then she has designed the annual PCF Holiday Cards to help raise money and awareness. In 2010, Jean put together a production dream team of some of Dan’s long-time friends, including producer Norbert Putnam; mega manager Irving Azoff; and concert promoter Chuck Morris. Together they gathered some of the industry’s leading musicians and vocalists to record an album honoring Dan. Included in the stellar lineup are Garth Brooks, Zac Brown, Jimmy Buffett, Joe Walsh and the Eagles, Michael McDonald, Train, Amy Grant and Vince Gill, Boz Scaggs, Casey James, Dobie Gray, Donna Summer, Fool’s Gold’s Denny Henson and Tom Kelly, Randy Owens, The Nitty Gritty Dirt Band and Richie Furay. Almost 8 years in the making, the album was a true labor of love for Jean Fogelberg, who says, “I will be forever grateful to these amazing artists for giving their time and talents to honor Dan and to help fund the Prostate Cancer Foundation’s research programs to find a cure for prostate cancer.” In August some of the artists from A Tribute to Dan Fogelberg performed at a sold-out concert at Fiddler’s Green in Colorado that raised $152,000 for the Prostate Cancer Foundation.